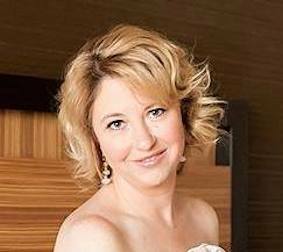 Huge Romance book event July 22, Free & Open to the public, plus other summer news! Like summer beach reads? Me too! 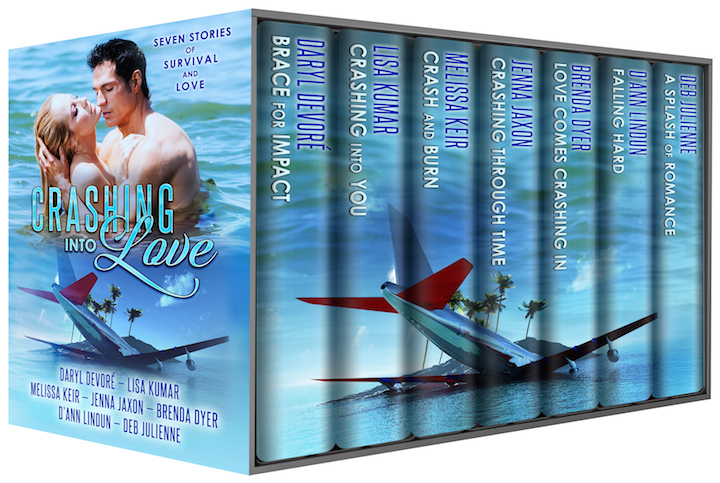 I’m thrilled to feature a steamy, action-packed beach read boxed set called Crashing Into Love. It includes the novella Crash and Burn by the fabulous romance author Melissa Keir, who also happens to be the publisher over at Inkspell romance. This boxed set is a complete steal at only $0.99. Included are seven edge of the seat tales from veteran romance authors. Can Rob and Keira’s second honeymoon lead to romance, or will it crash and burn? On the verge of a divorce, Rob and Keira Matthews book a second honeymoon at the urging of their counselor. Unable to conceive, they’ve pushed each other away in an effort to protect their hearts. Will a romantic holiday be the ticket to love or a plane crash in disaster? A teaser – guaranteed to make you say OMG, I need to find out what happens! A wet tongue on her cheek. Damp and lying on a hard ground, Keira rolled to her side and coughed up water. Unable to catch her breath, she pushed herself up on her hands and knees. Choking, coughing, fluid flowed from her lungs. Somewhere nearby, the dog barked. “Oh, my God. Rob!” She crawled to her husband’s prone body at the edge of the water. She flipped him to his back then laid her head on his chest. No heartbeat. Time ceased as she continued the compressions. Frightened, she shuddered then threw her body down over his chest. Sobs decimated her frame. “Please, God. Don’t take him from me.” Pleading, bargaining, beseeching. Water flowed out of his mouth as coughs rocked him. He gagged. “Please don’t cry.” His words croaked out as he rolled onto his back. His gaze met hers. He reached toward her face, but his arm fell back to the sand. This time, he moved out of the water. Gris lay down next to Rob and licked his hand. “I’m going to look around.” As she straightened, her legs buckled, and she collapsed on the sand. “I think I’ll just lie here for a bit.” She curled in next to her husband and let sleep overtake her. For my wedding in Vegas, my books and computer came with me but there wasn’t enough room for my wedding shoes. It’s all about priorities! As an avid reader, I was probably born with a book in hand. Luckily my mom was also an avid reader, so it was easy to “borrow” her books when my books were finished. I was reading from an early age about dashing men on horseback riding to the rescue of strong willed and capable women who didn’t really need rescuing. I came to expect that women in fairy tales should have fought their own battles. When I was older, I found Margaret Atwood and realized that women could re-tell history in their own way and I experimented with changing those basic fairy tales. Fortunately for me, my husband allows me the opportunity to be myself (spend my salary on books) and still takes care of the really important things for me like killing spiders and opening jars. As an elementary teacher, teaching children about the many worlds inside of books is a gift that I’m lucky enough to do for a living. Teaching the next generation to love reading is a lot of fun. Reading the right book can make a new world come alive! Currently living in the suburbs of Ann Arbor, Michigan with my darling husband, way-too-grown-up children and spoiled dogs, I enjoy getting away through a book to escape the harsh winters or summer road construction.